Dallas is not all concrete and high-rises, explore White Rock Lake, Klyde Warren Park, Katy Trail, Dallas Arboretum, and Victory Park. Donâ€™t forget about the Bishopâ€™s Arts District and the new bridge to Oak Cliff. These areas offer hundreds of both new construction luxury apartments, and beautifully restored mature properties. What to do in the evening? Try the chic lounges and posh bars in uptown, dance the night away in Downtown, bar hop on Lower Greenville and McKinney Avenue or catch some cool live music in Deep Ellum. Apartments in Uptown offers something for everyone: spacious Townhouses, historic architecture and the contemporary style, neighborhood\'s fusion of modern convenience the old-world charm of the vibrant, walk ability , and pet friendly apartments. East side of highway 75 is located within walking distance to Knox-Henderson shopping and nightlife, offers the best of urban living at affordable prices. Breathtaking views of downtown Dallas. Uptown West Village is just a short drive away. Sports fan? Your dream teams Dallas Cowboys, Texas Rangers, Dallas Stars, Dallas Mavericks, and Soccer\'s FC Dallas. Explore Arts and Culture at Dallas Design District, Dallas Symphony, George Bush Museum, SMU and American Airlines Center. Enjoy the many apartments located within walking distance or jump on the Dart line and leave the traffic to others. Looking for something special? Hardwood floors, stained concrete floors, granite counters, roommate floor plans, attached garages, we got it. Dallas is the perfect place for your four-legged friends, featuring dozens of parks, lakes, trails and outdoor spaces to romp, restaurants with woof-worthy accommodations. In the West Village there is a pet friendly bar or two. Medical district is the home to Southwest UT, Parkland and Childrenâ€™s Hospital and Baylor Hospital. Let\'s not forget shopping, Galleria, North Park, Neiman Marcus, and Macys. There are a vast amount of apartments to meet your lifestyle, lofts, high rise, mid-rise, or urban chic. Apartments with yards are a hidden treasure, and we can help you find them. 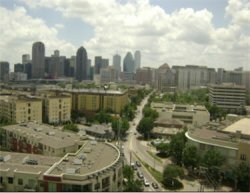 The Dallas/Fort Worth area is the Fastest-growing metro area in Texas, and the Nation, The DFW Metroplex is the Fourth Largest Metropolitan area in the Country, with a population of over 6,700,000 that is a gain of over 1 million since 2000. What brings people to DFW? At least one reason is the jobs. Exxon, Texas Instruments, JC Penneyâ€™s, JP. Morgan, AT&T and Baylor Health Care.There are hundreds of different apartments to choose from that fit your lifestyle and budget.